One of the premier activities of the American Freedom Alliance is the hosting of conferences on topics that relate to the loss or imperilment of our freedoms. Recent ones have included the rise of Islam in the West, the dangers facing California, the Left’s crushing of free speech, radical environmentalism, and our failing schools, among many others. Each of these relates to some major encroachment on our freedoms. We are particularly interested in issues concealed by the media, and we have illuminated the realities of these topics. In addition to the incredible speakers we have at these conferences, we also offer actions that our attendees can take to help mitigate or put a halt to the damage. Our “School Shootings” conference is, in its own way, no different, but its relevance to us might not be as easy to discern. So here is why this is such a crucial conference for us to hold. 1) The Parkland Shooting served as a catalyst for a coalition of forces to attack the Second Amendment more vigorously and more creatively than ever before. 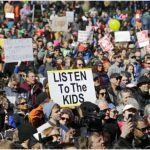 The marches, the walk-outs (including one today! 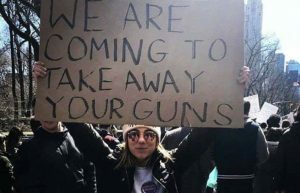 ), the clearly well-funded and organized protests belie the idea that these are student-led and reveal the extent to which the Left wants to use these events to fight against our freedoms – the freedoms that keep us, and our children, safe. 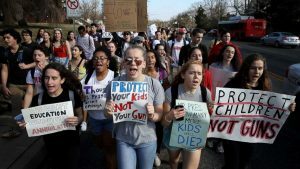 reasons, not the least of which is how our children are being manipulated to protest the taking away of their own freedoms, and how this makes them, and us, far more vulnerable to attacks such as in Parkland and elsewhere. The historical precedent of gun seizures/registration/confiscation/disabling of citizens to own guns also clearly shows that what happens subsequently is never, ever good, and for our students to be led away from the truth and only towards indoctrination, by those very institutions on which we rely for their education is, again, terrifying and just plain wrong. 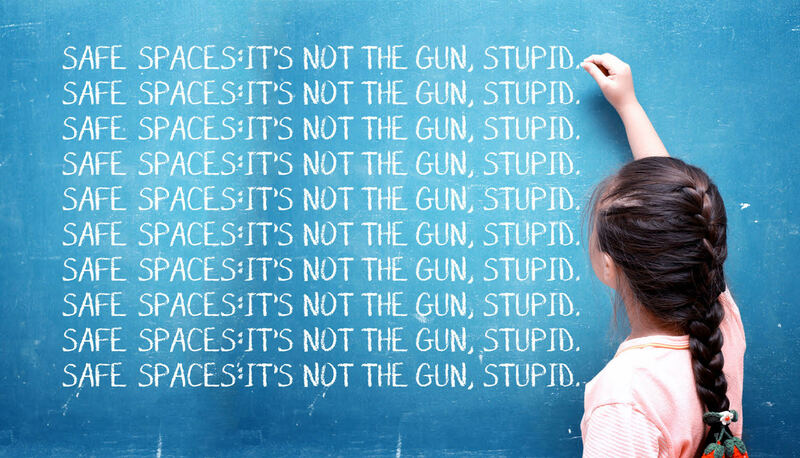 3) The focus on “MORE GUN CONTROL, NOW!” the Left’s mantra, is to ignore the actual reasons that these shootings (and stabbings, etc) occur, and it is those other reasons that are pernicious and do long term damage both to our youth and our society. Fatherlessness, the war on boys, the reverence for violence rather than for life, and medications all play a role in these shootings, and more profoundly, a role in the destruction of our social fabric, the health of our society and fundamentally, the values on which Western Civilization depends. The Left, of course, is fully aware of this, which is why a conference such as this is so profoundly important. Every front that they create is a front we must be prepared to defend. And this one is crucial. This isn’t a conference only about school shootings. It’s about protecting our rights, protecting our kids, protecting our values, our families and our boys and the mental well-being of our children. Each of these, each and every one, is required for self-governance to work. That’s why they attack them, and that’s why we MUST defend them. It’s just that simple. 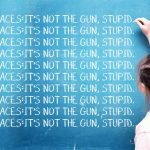 Join AFA’s Conference “School Shootings: Facts, Fallacies, Freedom and the Future” to learn about the many various factors that contribute to these horrendous acts of violence, and join the conversation about how we can stop them. John Lott, the nation’s leading expert on gun facts. He is the author of More Guns, Less Crime, The Bias Against Guns, and countless articles on the subject of the second amendment and how guns, in fact, keep us safe. Dr. Warren Farrell, an expert on the role of fatherlessness and the “war on boys” and how they relate to school shootings and society in general. You can watch his video here. Jonathan Emord has long been studying the effects of psychotropic drugs and their role in violence among teens. Watch this compelling video here. We will also address current policies and plans recommended and implemented by schools to address school security. Join us as we explore the underlying causes of tragedies such as the one last February, and as we address how to prevent them, both by tackling those causes and by various security strategies. Be part of the REAL solution and help keep our kids safe.